David Plouffe joins us to discuss the US political landscape, including a look ahead at this fall's elections. Plouffe managed Obama's presidential campaign in 2008. He's the author of the book The Audacity to Win: The Inside Story and Lessons of Barack Obama's Historic Victory. David Plouffe joins us to discuss the US political landscape, including a look ahead at this fall’s elections. 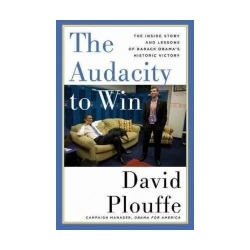 Plouffe managed Obama’s presidential campaign in 2008. He’s the author of the book The Audacity to Win: The Inside Story and Lessons of Barack Obama’s Historic Victory.